So, how many times do you check the weather before hitting the road or the water? Well, leave it to veteran meteorologist Bob Baron to help make those observations easier. 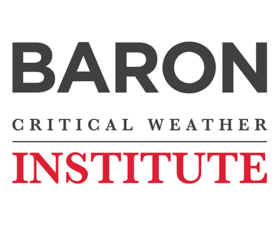 Baron, CEO and founder of Baron Services, has launched the Baron Critical Weather Institute, which will focus on the unique weather and safety challenges facing the transportation industry. The goal is to create a comprehensive statewide weather observation network including road, river and atmospheric conditions. This will help ensure that citizens across Alabama will receive improved and more timely current conditions and forecasts on roadways and waterways as they travel across the state. Baron said “the Tennessee Valley and the state of Alabama uniquely experience a broad range of weather events and contain terrain that extends from subtropical seashores to mountains along with navigable waterways, seaways, highways and airways. The Institute’s efforts to develop, coordinate, and support world class instrumentation across the state will provide a building block for major weather research and development, particularly in transportation. Guiding the Institute’s development are Dr. Deborah Barnhart, CEO and Executive Director of the U.S. Space & Rocket Center; Dr. John Christy, Director of Earth System Science Center at UAH and the Alabama state climatologist; Dr. Steve Goodman, retired Chief Scientist, GOES-R, NOAA; Dr. Jack Hayes, retired director, U.S. National Weather Service; retired Air Force Col. Brian Hastings, director of Alabama Emergency Management Agency; Daryl Herzmann, Systems Analyst, Iowa Environmental Mesonet; Dr. Sytske Kimball, Chair of University of South Alabama Department of Earth Sciences and director of South Alabama Mesonet; John McLaughlin, retired Chief Meteorologist KCCI, Fellow AMS; and Tom Thompson, Partner, Chief Technology Officer, Baron. Also, the Baron Critical Weather Institute will provide education outreach, including helping student scientists understand the importance of weather instrumentation in studying the weather.